Exeter Class of 2018 graduate Reanna L. Berry was awarded the first Roark Family Health Scholarship. Berry is the daughter of Johnny Berry. She is pictured above with Dr. Lisa Roark (left), of Roark Family Health. This is the first annual Roark Family Health Scholarship awarded in the amount of $1,000. 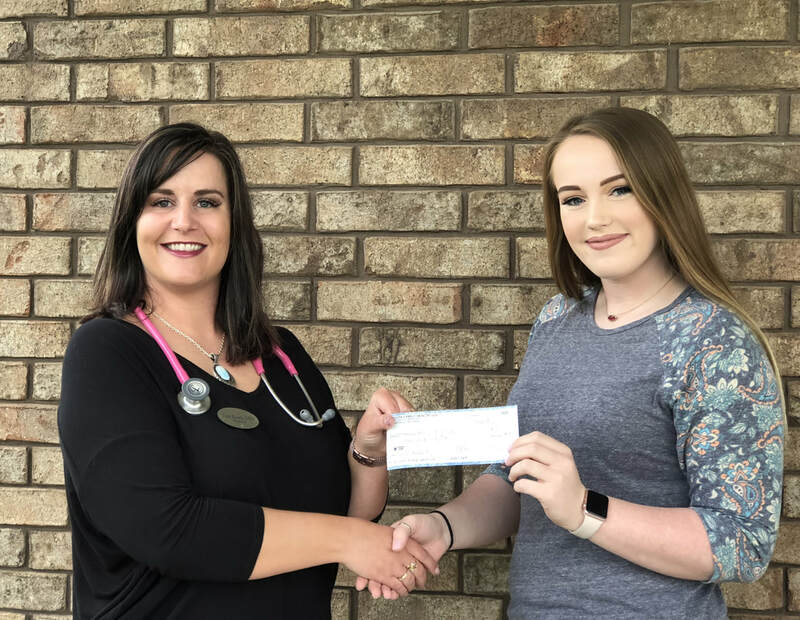 The clinic plans to continue this scholarship each year for an Exeter High School graduating senior going into the medical field. Dr. Roark started the scholarship for students from her alma mater who show financial need and a dedication to both school and extracurricular activities. Students can be going into the medical field in medical assisting, nursing, radiology or to become physicians. Reanna will be attending Missouri Southern State University with a major in pre-med. She then plans to go on to KC-UMB to earn her medical doctorate. Her goal in life is to become a Doctor of Osteopathic Medicine specializing in Emergency Medicine. Her long term goal is to obtain her degree then move back to southwest Missouri to practice medicine.